A dockable UI for quickly accessing preferences to speed up After Effects. 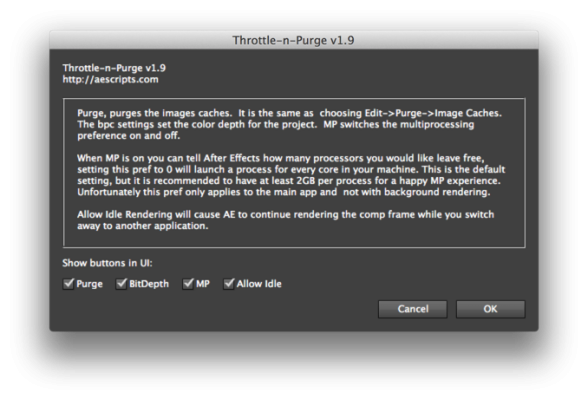 Change project bit-depth, multiprocessing, and idle rendering as well as quickly purging the image caches. 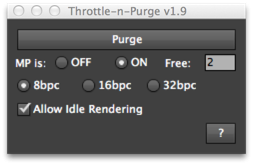 Has the option of showing or hiding the Purge button to suit your preference.